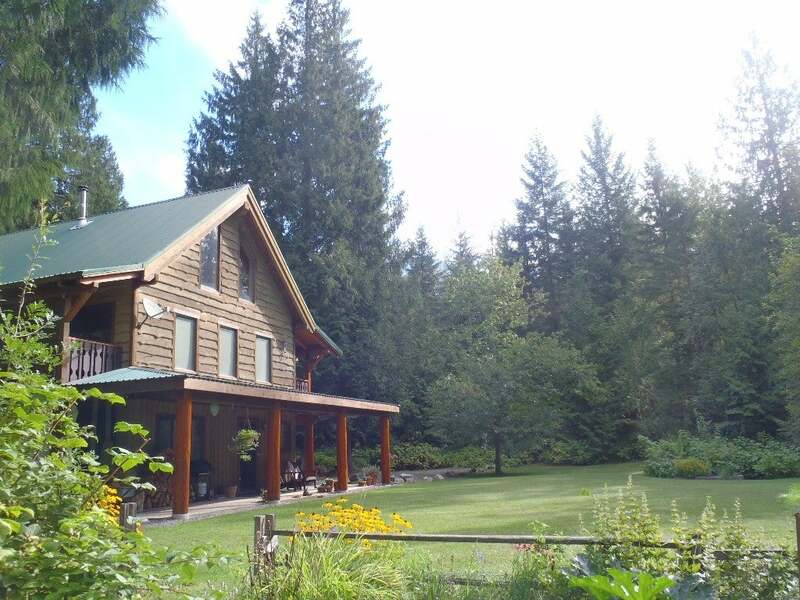 back from roadway allowing for the ultimate peace & quiet & privacy on 4.8 acres. This quality built 3.5 bdrm home is nestled among plentiful mature trees. A gardenerâ€™s delight w/ large vegetable garden grown w/ organic growing practices, dual paddocks, fenced/cross fenced & a serene pond w/ is frequented by a variety of birds. This picturesque home enjoys breath taking views of Camel Back & Mount Paulina. The ground level has an ample amount of storage & an opportunity to have a 430 sq.ft revenue suite. The main fl. has 2 lrg bdrms, a 4 pc bthrm, large vaulted open kitchen w/ s/s appl, dining & living rm w/ floor to ceiling windows, upstairs has a lovely large master bdrm w/ a 4 pc bthrm & also a 12 x 20 ft loft.